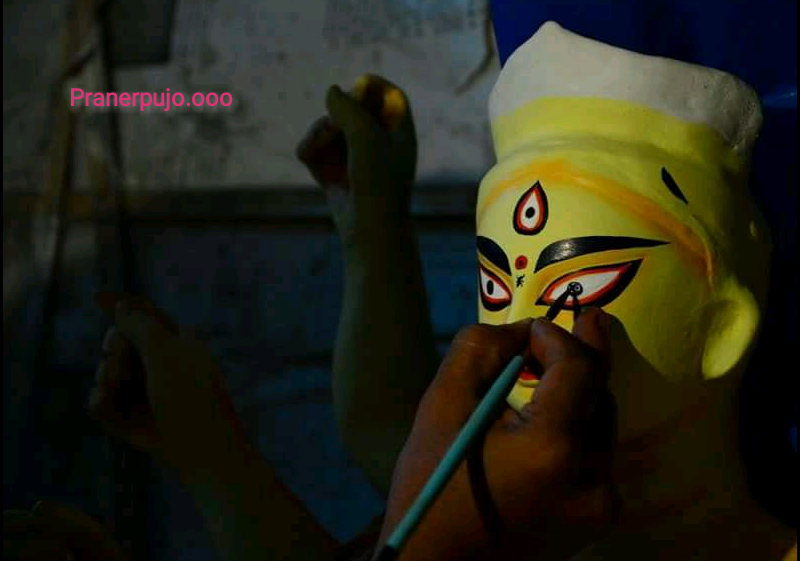 Pujor Etihas All About Mahalaya.| What is Mahalaya and why its Celebrated? All About Mahalaya.| What is Mahalaya and why its Celebrated? 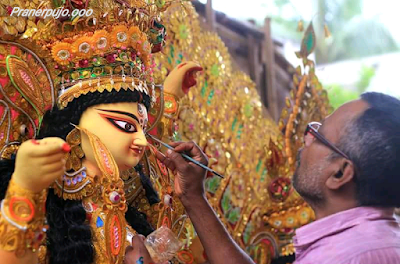 Mahalaya means that the prayer of the mother will be held in October 09. The pilgrims are excited about Mahalaya. Mother Durga is celebrated as an appeal. All About Mahalaya.| What is Mahalaya and why it's Celebrated? If you believe in the Hindu Calendar, Mahalaya starts on the new moon of Ashwin month. The first day of the Mahayala Durga Puja is considered. According to the recognition, people pay tribute to the ancestors on this day. The Shraddha of people suffering from premature death is also done today. Learn more about Mahalaya Here. The original meaning of Mahalaya is the appeal of the Goddesses and Fathers. Father's party dates for 15 days and on the day of Mahayala all the ancestors are immersed. On the new moon day, the ancestors go to the door of their son's dynasty with the hope of Pindda and Shraddha. Fathers should be pandad and ablished. On the day of the new moon, people set up and adorn their ancestors. Water and substances given to them receive ancestors. In the patriarchy, the gods leave their place. In lieu of deities, the ancestors reside for 15 days. On the day of Mahayala, the paternal aide receives Pindada and Binanjali from his son and goes to his house to bless his son and family with happiness and prosperity. From the Mahalaya, the deity resides in its place. In the patriarchal side, worship of gods is not worshiped for 15 days. The worship of Goddesses starts from Mahalaya. Mahalaya is a Sanskrit word in which Mah means great and comes as a means of residence. Mahalaya Amavasya shows the beginning of Durga Puja or Navaratri. Durga Puja is considered to be the biggest festival of the Hindus. 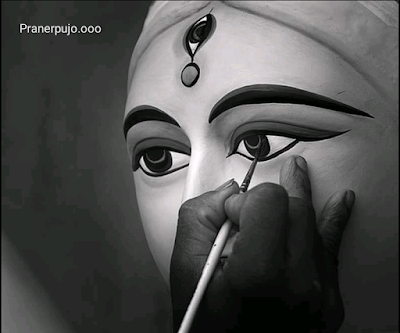 Navaratri begins with Mahalaya. Mother Durga is worshiped on the black night of Mahalaya Amavasya and she is prayed that she should come to earth and bless her devotees. According to mythological beliefs, on this day, Mother Durga comes on earth and protects her children with asura powers. This is considered to be the end of the patriarch with the introduction of the Divine Party. The Mahala festival is celebrated mostly by Bengalis. Mahala Navratri or Durga Puja is considered to be the beginning. In it, Mother Durga is called to protect her devotees from Mahisasur. These are celebrated on the black night of the new moon and the devotees pray to the mother to come to earth. Mother Kailash comes to Earth for her children. After this there is a great celebration of the arrival of the mother. On the sixth day from Mahalaya, a big event is organized in pandals. During this time, the worship of Durga is done very swiftly. During this time the roads are decorated and the idols of Mother Durga are held in pandals. On this day, all people remember their ancestors and offer them food. These food, clothes and sweets feed to the Brahmin. On this day, people wake up early in the morning and worship their goddess in front of the goddess Mahamaya. Food and clothing are donated in Pavo Pavilion. The food for the ancestors is made in silver or copper utensils. After this the food is fed in banana leaves and in a bowl made of dry leaves. Most Kheer, Rice, Dal, Gour, and Citaph are offered in the food. After the departure of Lord Ganesha, it is time to celebrate Navaratri. Navaratri is also known as Durga Puja. It starts from Mahalaya, the first day of Durga Puja is called Mahale. 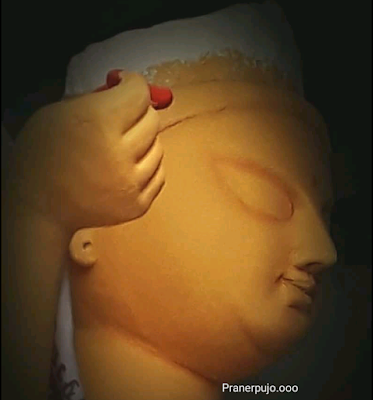 Durga Puja preparations for Bengalis begin a month ago. According to the Hindu calendar, the meaning of the Divine aspect is in which the Moon enters the month of Ashwin. This festival of Mahalaya takes place on the first day of Navratri or Durga Puja. This day is considered the day of Navratri and Durga Puja. Mother Durga is worshiped in it and she is prayed that she should come to earth and bless her devotees. This day is considered to be the last day of Shraddha or patri pada. Mahalaya Amavasya comes on the last day of the patriarch. How is the Mahalaya celebrated? It is believed that in the father's side, Yamraj frees all the creatures every year. Yamraj does so because they can accept the sacrifices being made by their people. According to the belief, the peer protects its total and protects them from every crisis. It has also been said that Shraddha should be played for three generations. It is believed that if Pipri becomes angry, then life has to face difficulties. After the end of Shraddha, people gather in the preparations for the Navaratri festival. Navaratri festival, which lasted for 9 days, is worshiped at home and houses and nights and ninth turtles are kept. As soon as Shraddha ends, Navaratri's preparations begin. The incarnation of the mother who is worshiped in Navaratri is called Lakshmisarupa Mahishasur Mardini. Mahishasur Mardini Devi Durga has been told. Goddess Durga had slaughtered a monster called Mahishasur and gave it to the Gods. So friends It is our Idea about Mahalaya, hope you like this post which is Related to Mahalaya Thank You.